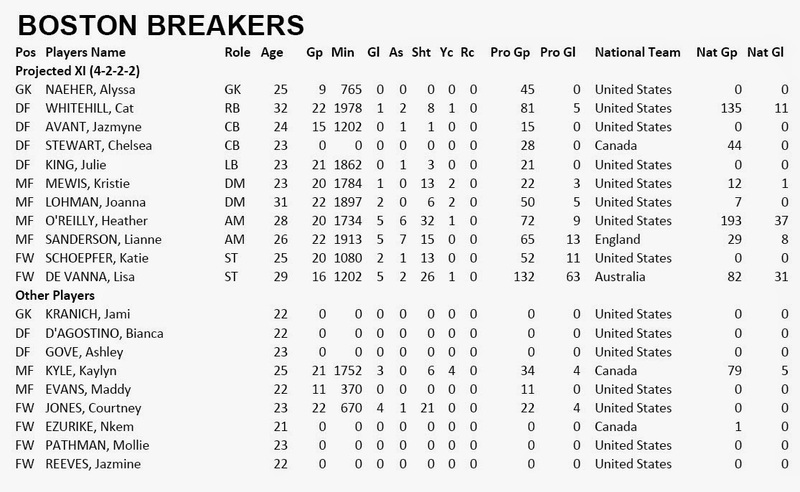 Analysis: With the drafting of Nkem Ezurike, the Breakers now have four Canadians in their club along with National Team veterans Rhian Wilkinson, Kaylyn Kyle, Chelsea Stewart. Boston have a strong midfield through Lianne Sanderson and Heather O'Reilly who combined for 10 goals 13 assists and 47 shots on target. 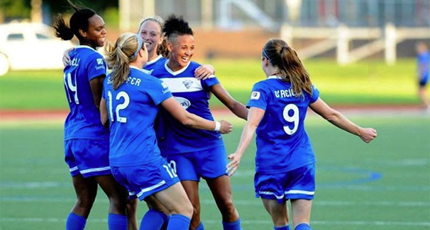 The biggest question will be how the forward line will do as the club traded top scorer Sydney Leroux and brought in Lisa DeVanna who played 81 games with Australian National Team. However, the rest of the forwards have no national team experience, so it will be interesting to see how players such as Ezurike develop.